Cut Chenille Asian Motif Purse.1960s. Maker: Unknown. 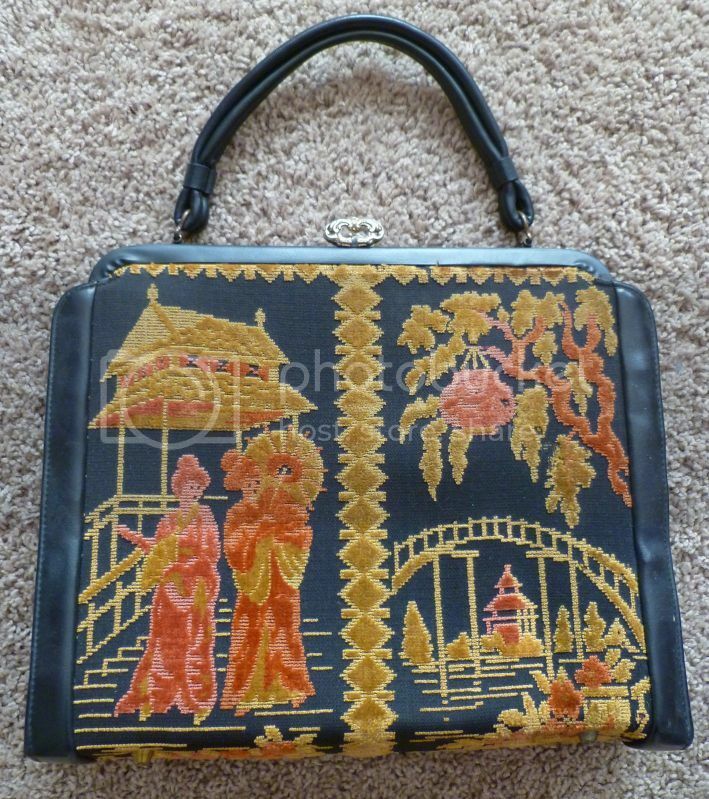 Large size black faux leather purse with a cut chenille design in gold and orange-y pink (possibly originally red), featuring ladies in traditional Japanese garb, Oriental-style structures, a hanging lantern, plants and a tree. The design is on both sides of the bag. This is a great purse. Unfortunately, I’ve used it so frequently that one side is separating from the main body of the purse. The good news is that it looks repairable. Now where’s that hot glue gun…? Bonus pic! Check it out! It’s my newest tattoo. Very sore, because I just got it done yesterday, but I love it so much that I wanted to share. 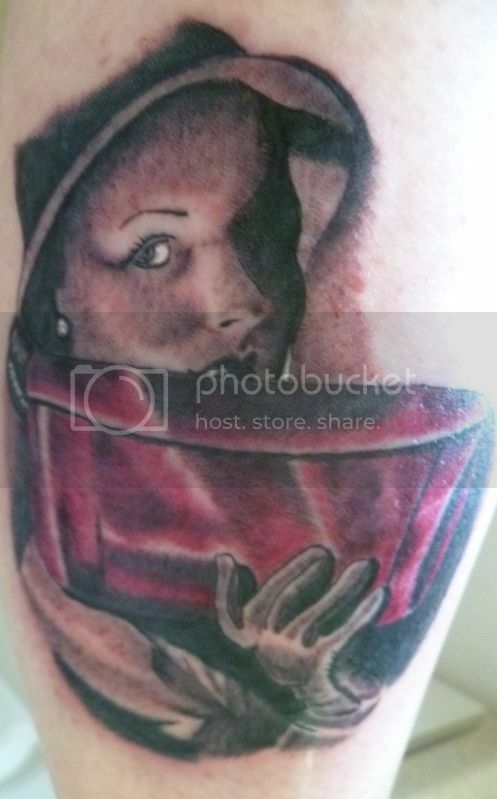 It’s on my right calf and is a copy of a 1940s Jana purse ad, done by the amazing Heather Sinn of The Tattoo Room.